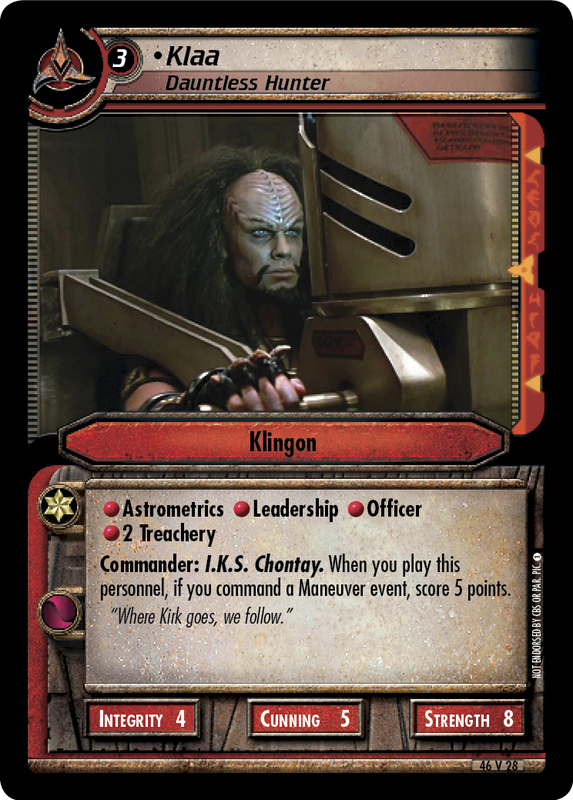 When you play this personnel, you may play up to two Klingon personnel from your discard pile as if they were in your hand. "You've come close to boarding this ship many times." 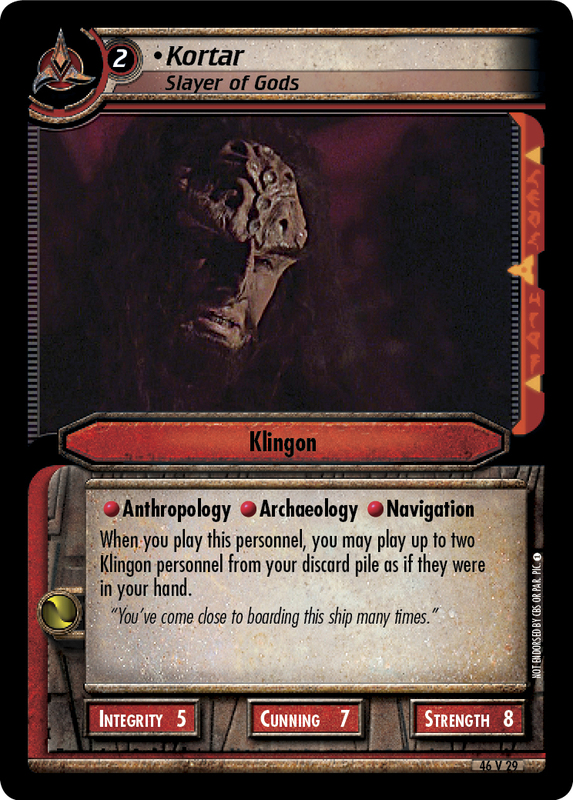 Image Source: Voyager: "Barge of the Dead"